The introduction of mobile wallets in India is changing several things at the same time; and such is the magnitude of their expanse, that banks are now threatened by their growth. In order to counter their reach and popularity, banks are now launching their own payment tools and mobile wallets so that their customers don’t ditch their platforms. ICICI’s Pockets, SBI’s Buddy, Axis’ Lime, HDFC Bank’s PayZapp etc are perfect examples of how private mobile wallets have inspired banks to adopt mobile technology in a massive way. Amidst this chaos, when a mobile wallet decides to launch financial products like banks, then more confusion ensures. MobiKwik, one of the three largest mobile wallets in India right now, recently launched a scheme wherein their users can earn 6% interest on the money parked inside their wallets. This scheme was launched only for those customers who decides to maintain wallet balance above Rs 5000. Hence, by parking Rs 5000 in MobiKwik wallet, the user can earn Rs 300 per year, which would be given back in terms of shopping incentives and others benefits. This is similar to what banks offers in terms of their saving accounts. After Reserve Bank of India (RBI) learnt of this scheme, they quickly ordered MobiKwik to stop this offer. Immediately all advertisements related with this scheme was withdrawn by MobiKwik. MobiKwik Turning Into Digital Bank? 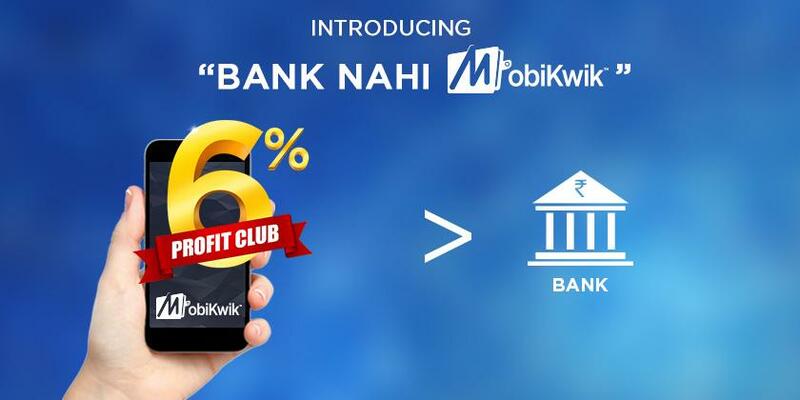 Interestingly, while announcing the launch of this few scheme last week, MobiKwik had shared that they will want to become a ‘Digital Bank’ soon. Last month, MobiKwik partnered with CashCare to offer small, micro-loans of amounts ranging from Rs 500 to Rs 2500. It is not clear whether such loan products would be allowed by RBI or not; or whether offering such micro-loans are allowed for mobile wallets. After RBI stopped MobiKwik from executing 6% interest plan, it seems they will change their guidelines for such entities which can use escrow accounts for gaining interest. MobiKwik has refused to comment on this development. "MobiKwik Cancels 6% Wallet Interest Scheme As RBI Stops Them From Turning Into A Digital Bank", 5 out of 5 based on 7 ratings. MOBIKWIK IS CHEATER. PROMISED TO GIVE RS. 300 CASHBACK BUT NOT GIVEN. THERE IS NO REPLY TO TICKETS RAISED AND NO CUSTOMER CARE PHONE IS PICKED UP.